“What do you know about Grandy’s place?" he asked. Gem’s eyebrows shot up. "The lonely homestead?" "Why d’you call it that?" She shrugged. "It’s been empty since he died. Most people just call it the house at the end of the street. What’s it to you anyway?" Gem’s exasperation bubbled, overwhelming the original idea of coming out here to calmly persuade him to leave town. ‘This and that,’ she parroted. "Is that all you’ve got? Why don’t you want anyone to know what you’ve been doing?" "Are you in trouble, Josh?" she asked in a whisper. Maybe that’s why he was so evasive. Maybe he’d made a big mistake in life. Maybe he’d been in prison. No, wait—he had a tan. "No. I’m not in trouble." He seemed to come out of his reverie. He lifted a hand and swept it through her hair, brushing it back from her forehead. "Not the way you’re thinking." Looking for a delightful, warm story about family and second-chance love? The Turnaround Treasure Shop follows the adventures of the heart for Lily Johnson. Everyone has the right to at least one dream coming true, and Lily is determined to achieve her goal on her own. 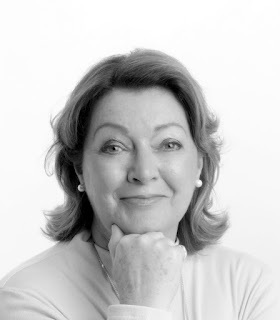 But things are tough on the financial front and if she doesn’t take the chance offered to her by ex-Navy Captain Nick Barton, she might find that “one day” never comes. 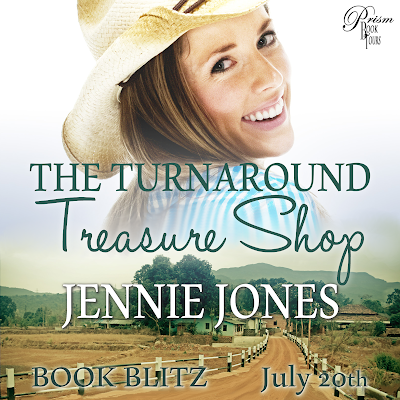 The Turnaround Treasure Shop is book #4 in the bestselling Swallow’s Fall series. 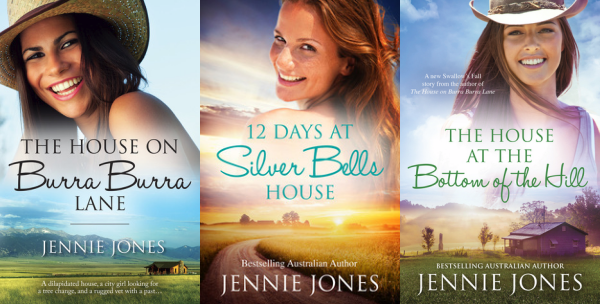 But each book in the series can be read alone and frequently are – Jennie’s had plenty of readers buy book #3 and then go back for books #1 and #2. Jennie has a great rapport with her readers all over the world and recently asked them if they’d read a new series: Daughters of Swallow’s Fall – and the resounding answer was – Yes! 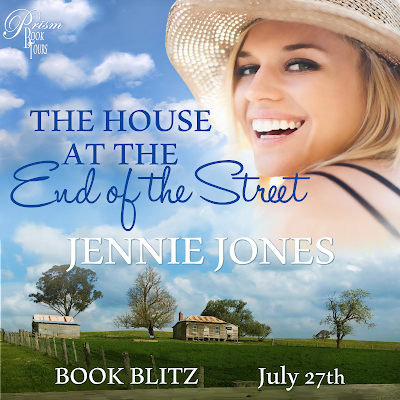 But before that, the next book in this series (#5) The House at the End of the Street is releasing on July 27th. “Good morning.” Lily Johnson didn’t look at Nicholas Barton, instead skimming her smile in the direction of the top of his head and off it again as fast as politely possible. Not that he noticed. “Morning, Lily,” he said, dark head bowed to the breakfast plate she’d put on the table in front of him. He wore a dark green crewneck with a white T-shirt beneath, the sleeves of his sweater pushed up his arms, the way they always were. How he got through the Snowy Mountains climate without a coat, Lily didn’t know. Even summers weren’t exactly drenched in heat in this part of Australia, and autumn always had a nip in the air. He was hardly ever out of dark green or bark-brown colours. A throw-back to his armed-forces days, probably. The strong silent type — but not mean or standoffish — just reserved. Which suggested a caring nature, Lily had always thought. She moved to an empty table next to him and picked up a cruet set and a tomato sauce bottle, reminding herself to tell the young girl who’d worked Saturday night’s restaurant shift that she needed to make sure every table was set for the next day before leaving work. “There.” She fussed with the salt and pepper, and straightened the napkin holder. “Enjoy,” she said, wiping her hands onto her white apron and hoping the salutation sounded the way it did when she said it to every customer she served breakfast. “Thanks,” he said, in the same low-toned, unruffled manner he’d used to thank her for his weekend breakfasts for the last year. He picked up his knife and fork. His forearms were thick and toughened with muscle. Those muscles wouldn’t stop at his elbows, they’d go right up his arms to support his heavy-duty shoulders. It was all that muscle which probably kept his body temperature warmed. Lily stumbled over her laugh. “Sorry. Daydreaming.” Ouch. Daydreaming about Nick was taboo, and she didn’t want him knowing any of her taboo thoughts. She turned for the kitchen of Kookaburra’s Hotel, and fanned her blazing face. Nicholas Barton made her tremble. He’d been making her tremble for 12 months and no matter how hard she tried to put the moment behind her, the recollection of the awkward position she’d put him in at last years’ Easter Bunny Ball fried her brain every time she saw him. Like a splash of hot oil on the scalp. This year’s Ball was happening in two weeks’ time. Would he remember last year’s and stay clear? Or had he wiped the incident from his memory the way she wiped her hands on her apron? He was too much of a gentleman to have referred to it since, but sometimes Lily had the sense that behind his unflappable exterior, there was a zing of anticipation in the air between them. That was the bit that made Lily tremble. 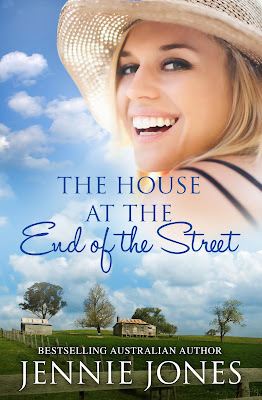 Fatalistic, long divorced and doing her best to give her children a good life, Lily Johnson works two jobs in her hometown of Swallow’s Fall, saving every spare cent for the day she can lease the empty corner shop on Main Street. 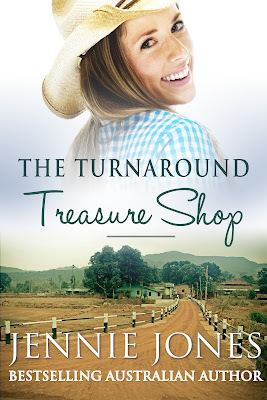 She longs to open it as Turnaround Treasures, a second-hand shop bursting with rescued country curios — but there aren’t enough spare cents and Lily’s dream is slipping away.